Is Pain and Suffering Awarded After a Minor Accident? Is pain and suffering awarded after a minor car accident? Pain and suffering, the amount usually awarded to compensate physical and emotional harm following an accident, can indeed be awarded after a minor car crash, though it depends greatly on the case. If you’ve been involved in any car accident that was completely or partially caused by another driver’s negligence, you should schedule a free consultation with a Los Angeles car accident lawyer right away. An experienced legal expert can help you decide if it’s worth pursuing compensation for pain and suffering. How is the amount of pain and suffering compensation determined? Unlike out-of-pocket expenses like car repairs and medical bills, it’s difficult to put an exact figure on the amount of pain and suffering that’s caused by any given accident. Generally speaking, a personal injury lawyer will calculate out-of-pocket expenses, and then multiply that by a factor between 1 and 5 to arrive at a figure for pain and suffering. It’s very easy to overestimate the amount of money that you deserve for pain and suffering compensation, and this will ultimately hurt your case should you pursue a lawsuit. Scenario A: You’re recovering from surgery to repair a herniated disc in your back. It’s a few weeks into your recovery and your doctor has given you the green light to drive again. On your way to the grocery store, you’re rear-ended by a distracted driver. It’s a minor fender-bender, but suddenly you’re in agony. You may need another surgery, and you’ll have to suffer through weeks of excruciating pain, all because another driver failed to pay attention. In this situation, it makes sense to pursue pain and suffering damages. Scenario B: A texting teen blows a stop sign and clips your rear bumper in the middle of the intersection. There is little damage to your car. Your neck feels tight for a few days, but there’s no way to prove that you’re in pain. Given the mild nature of the fender bender, it would be difficult to win pain and suffering compensation. In this case, it’s not worth pursuing a lawsuit. 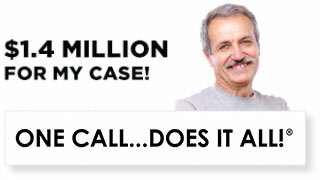 The only way to know for sure whether you have a case is to meet with an attorney. Ellis Law has been offering free and confidential legal consultations to the good folk of the Los Angeles area for over 20 years. If you’ve been involved in a crash that wasn’t your fault, you may need legal representation to get the compensation you deserve. We’ll examine the details of your accident, calculate your medical costs, and figure out if it’s worth pursuing a cash settlement or lawsuit. We know that meeting with a lawyer can be daunting, and we strive to make the process as comfortable and easy for you as possible. Ellis Law has a reputation for treating every client and potential client like a valued VIP. 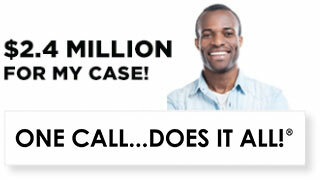 Should we decide you have a case, we’ll get to work right away with no upfront legal fees. Hiring an attorney can be expensive, but you shouldn’t let the cost of legal help stand in the way of getting the compensation you deserve. 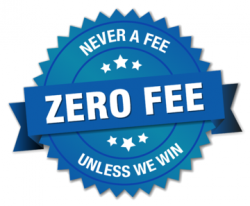 Every personal injury lawyer from Ellis Law works on contingency fees, which means our payment is contingent on you winning your case or agreeing to a settlement. 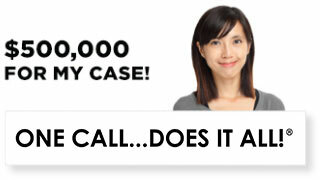 In the unlikely event you should lose your case, we won’t charge you any legal fees at all. We are incentivized to deliver results to our clients. Ellis Law has a proven track record of success. We’ve secured over $350 million in compensation for our clients, and it’s a number that continues to grow. From everyday car crashes to complex cases that include a number of plaintiffs and powerful business or municipal interests, we’re committed to protecting the rights of L.A. area residents like you. Sit down with an expert from our firm today and we’ll help you for a plan to get back on your feet.